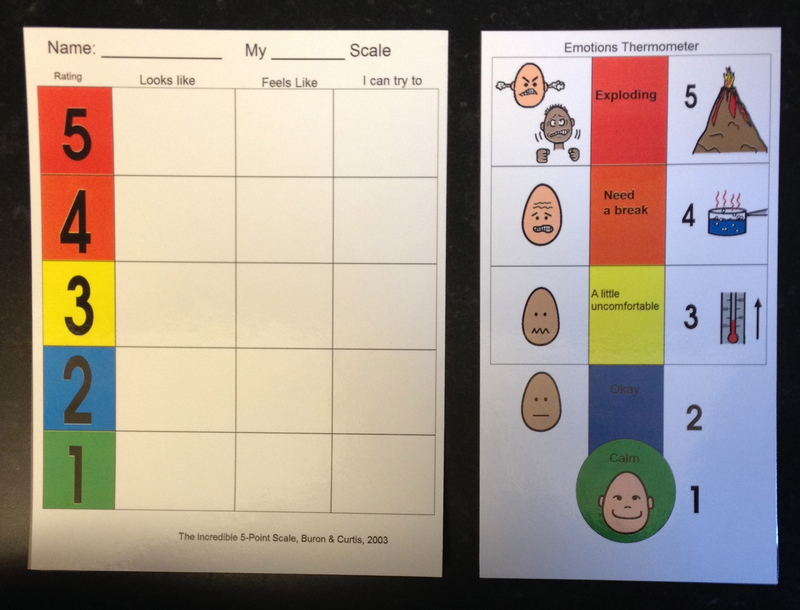 The Incredible 5-Point Scale (Buron & Curtis, 2003) is a simple strategy that involves breaking down behaviors into concrete parts in order to help an individual more easily understand their own responses and feelings and ultimately learn to manage their behavior. This technique can be very effective with a wide range of individuals and can be used to target any behavior. This item is always available in our resource room. This entry was posted in 5 point scale, Visual Supports and tagged Autism Spectrum Disorder, visual support. Bookmark the permalink.